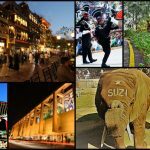 If we talk about Lahore’s Famous Places and leave the Wagah border, then this is so unfair. 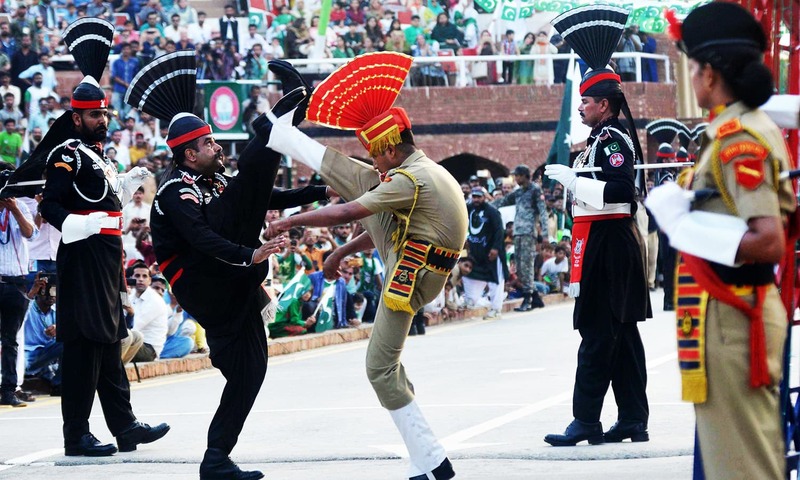 Half of the beauty and attraction of Lahore owes to Wagah Border. 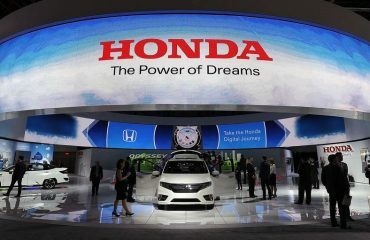 The zest in the air due to patriot crowd is indescribable. 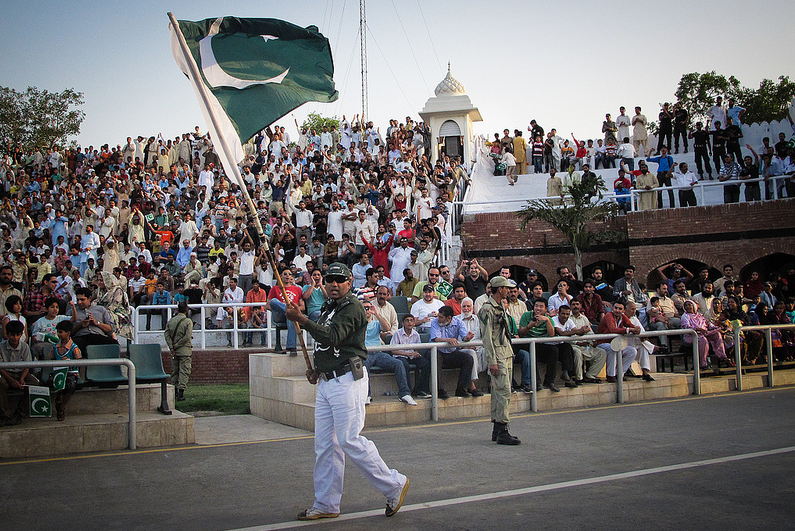 The spectacular scene at flag ceremony makes Wagah border best place to visit in Lahore. 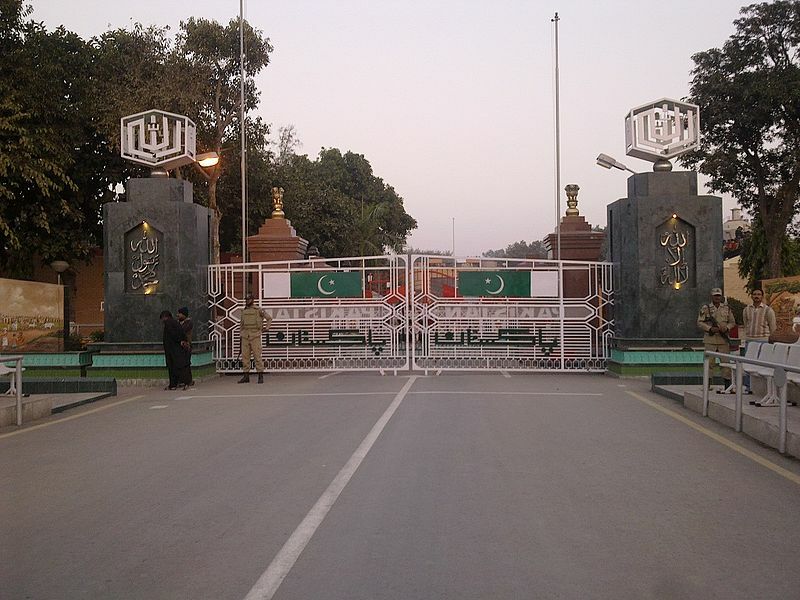 The spirit of patriotism starts the moment when one goes close to the gate. Those “I Love Pakistan” slogans give goose-bumps. 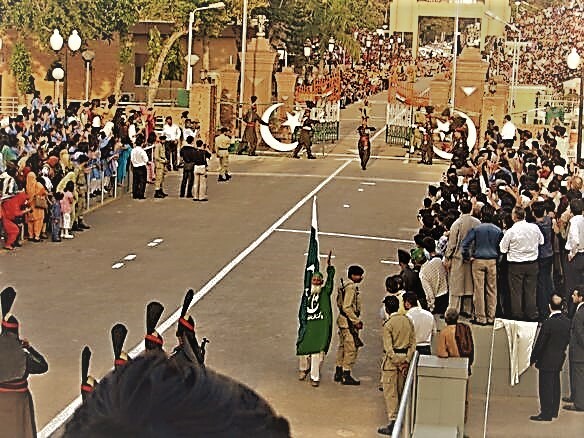 The journey of spirit starts from making the queues at the gate of the Wagah Border and then proceeding towards stadium seats. 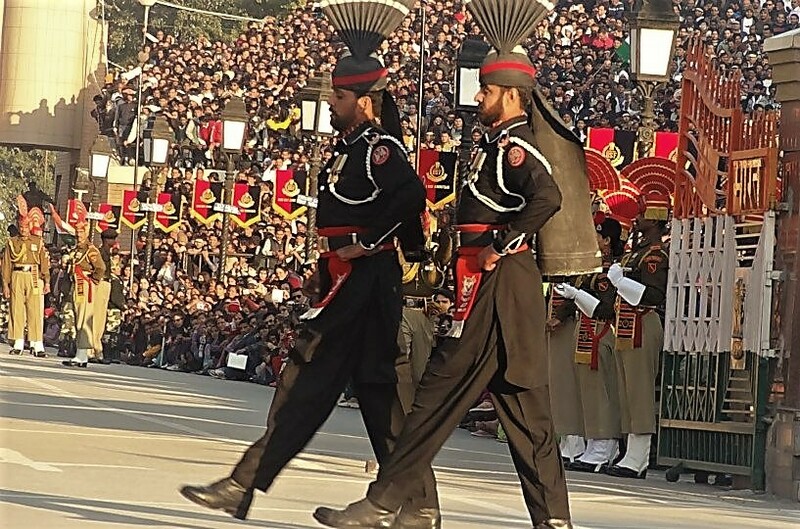 The protocol which tourists get makes Wagah Border best tourist place in Lahore. They are granted special permission to capture the whole scene from front rows. Now, after an hour queuing and security checks, the actual enthusiasm is witnessed. With shriveling skins and sweating foreheads, Pakistani soldiers represent such ostentatious valor which gives literal goose-bumps. People from all over the world gather at the stadium just to watch these pious and zealous soldiers. The ceremony is such a piece of attraction that different cultured peoples are seen at the border with multi-color dresses and skins. This prestigious ceremony is guarded by brave soldiers that keep a check on everyone. After the appearance of some soldiers, one-legged old man is seen dancing on blasting National songs. No matter, of his disability he appears full of joy and courage. A man with “Lahoris’ Shaan- Dhol” is also seen. He plays very intriguing and rock beats. It is such a treat to the vision that no one can stop flowing with his beats. It mesmerizes the audience and they become even more joyous and full of zeal. Men and kids start to radiate and also dance on electrifying “Dhol Beats”. Then, one soldier comes down from some secret stairs with a flag in his hand and start to hover in the stadium, showing some tricks. He then proudly bores the flag and warns enemies indirectly. 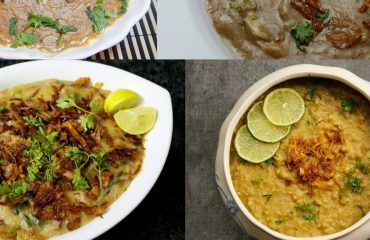 This is a coded message to make enemies stay away from Pakistan. The march soldiers do after this is very aggressive, depicting strength. They are very coordinated. The patriotism and unity seen there are found nowhere else. This ritual goes off for about an hour and then finishes. 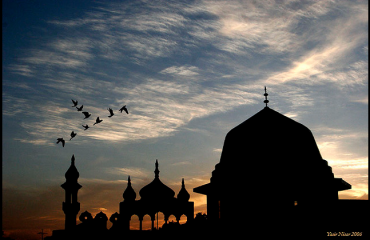 With the zest and verve, the environment gets fill with roars of “Allah-Hu-Akbar” and “Pakistan Zindabad”! The scene and vibes are so hard to narrate. 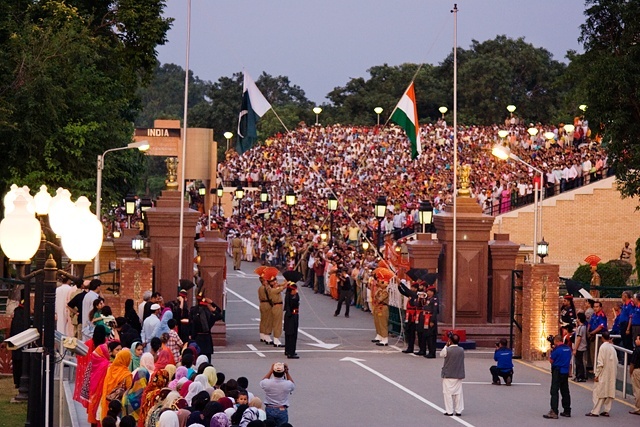 The feeling and amazing scenes at Wagah Border make it the best place to visit In Lahore. 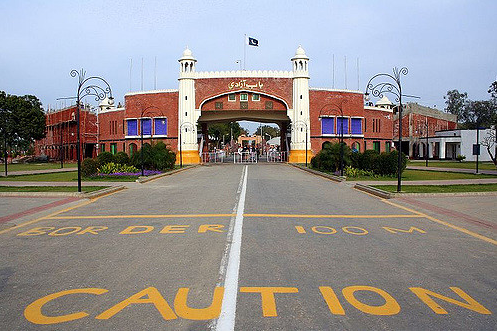 If you are a tourist and looking for some attractions in Lahore then mark Wagha Border at your first priority.